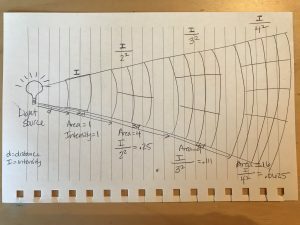 OK – this post is going to be deep because we’re digging into a bit of physics (and therefore math, BUT DON’T PANIC!) You need to understand a few key concepts in order to understand why LED light panels that don’t snug right up against the skin are a COMPLETE waste of money!! First I’ll need to define some terms (I promise, I’ll make this as simple possible! ), then I’ll explain how this relates to LED light panels! In other words, if every 1 minute you work you earn 1 dollar. If you work for 10 minutes you make $10 and if you work for 100 minutes you make $100. Your income is ‘directly proportional’ to the amount of minutes you work! Or you can also say it is a 1:1 ratio. This is easy to understand, right? 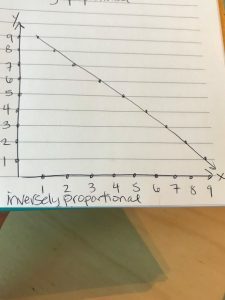 Graph showing a y-axis value that is ‘inversely proportional’ to the x-axis value. An example of this would be as speed goes up travel time goes down. If we have a distance of 100 miles to travel it will take us 10 hours if we are traveling at 10 miles / hour, 4 hours if we are traveling at 25 miles / hour and only 2 hours if we are traveling at 50 miles / hour. Once again, pretty easy to understand, right? Ok, now it’s time to explain ‘proportional to’. You can calculate anything as being proportional to a square, cube or an exponential. For this example we’ll stick with being proportional to a square. 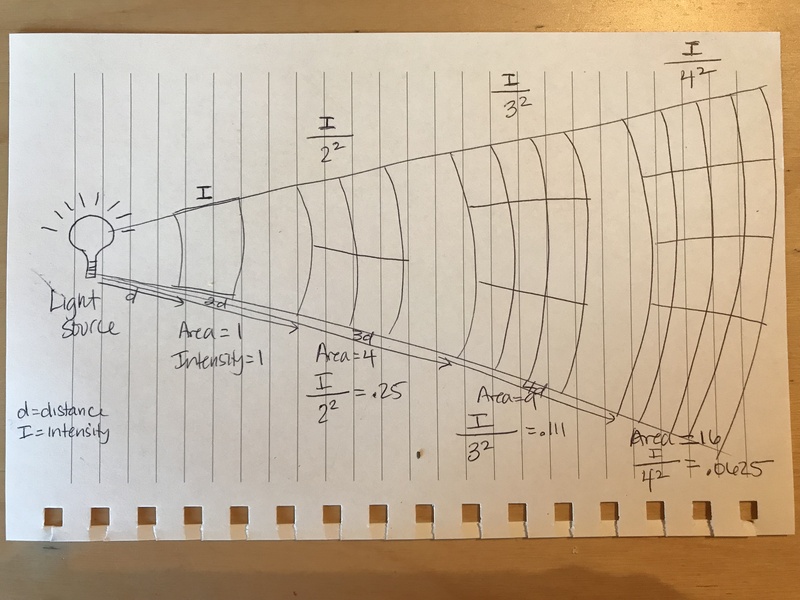 Ok – time to make this simple! Graph showing a y-axis value that is ‘directly proportional to the square’ of the x-axis value. 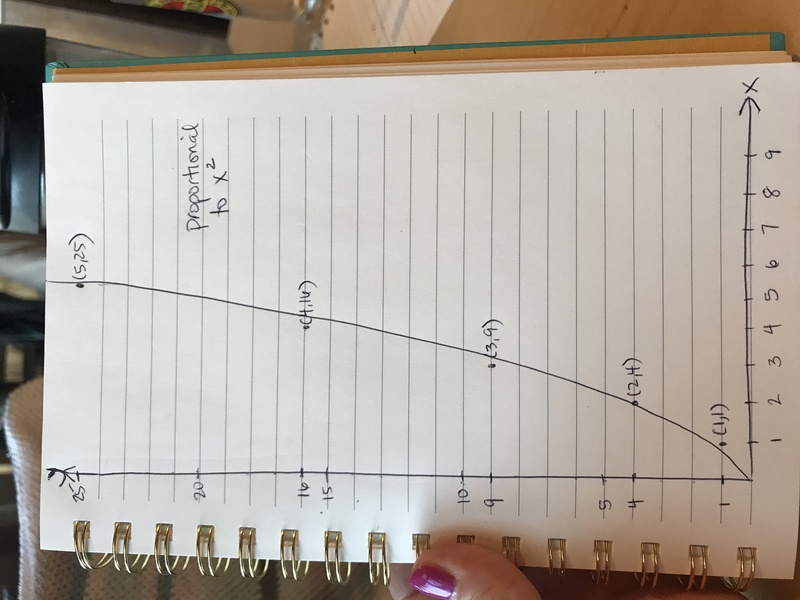 For every point on the x-axis you would square that value and plot that on the y-axis. So, in this graphed example if the x-axis value is 1 the y-axis is also 1 (1 squared is calculated as 1 times 1, or 1). 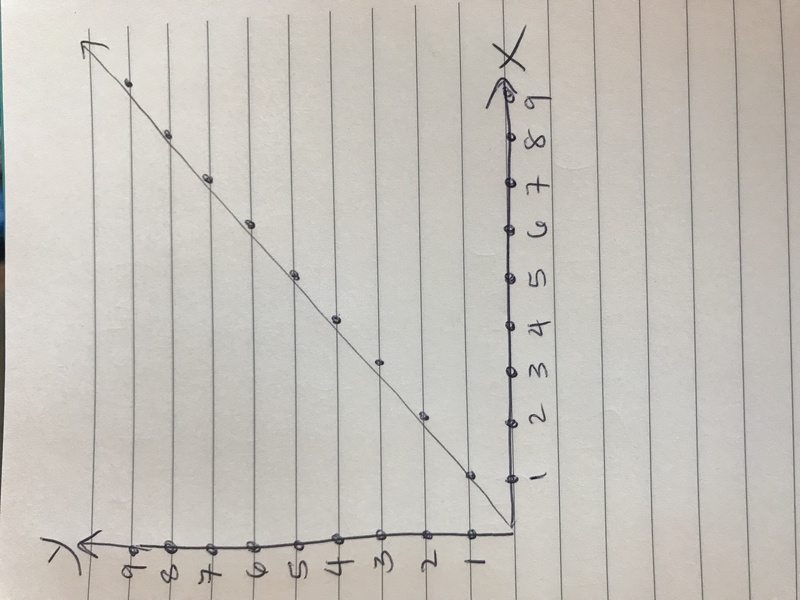 If the x-axis value is 2 the y-axis value is 4 (or 2 squared which is 2 times 2, or 4). 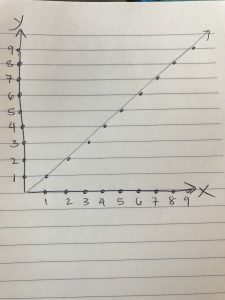 If the x-axis value is 3, the y-axis value is 9 (3 squared, or 3 times 3), and if the x-axis value is 4, the y-axis value is 16 (or 4 squared, which is 4 times 4). 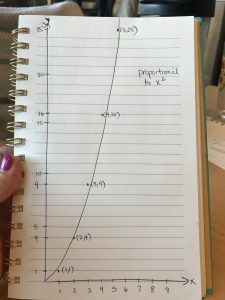 To continue an x-axis value of 5 would equal a y-axis value of 25, 6 would be 36, etc… In other words, every point on the y-axis is the value of the x-axis SQUARED. Ok – if your eyes have completely glazed over and your brain hurts, all you need to understand is that this graph is just showing that the closer you are to a light source, the brighter (and therefore stronger) it is. And the further away from a light source, the dimmer (and therefore weaker) it is. Significantly weaker. And not only is it weaker, it is weaker as a direct ‘inverse proportion’ to the distance. 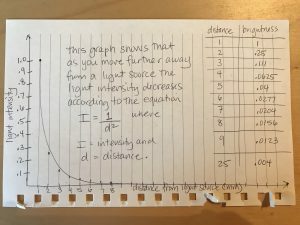 So for every unit of distance further away you move the light source (I used millimeter as the distance in the above graph), the light intensity decreases exponentially. 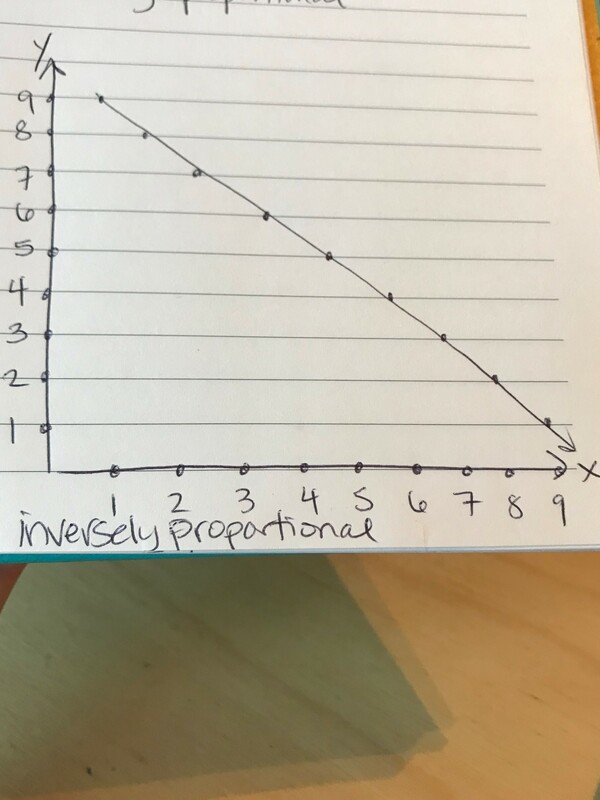 It does NOT decrease at a 1:1 ratio as in our example of ‘inverse proportionality’ above (the example with distance to travel vs. time is takes to travel). It decreases inversely AND exponentially! THAT IS IT! THAT IS THE MESSAGE!!! So, what does this have to do with ALL of the ‘other’ LED panels on the market today? It has EVERYTHING to do with them! THEY ARE RIGID, so for every additional millimeter away from the skin it is, the intensity decreases as a SQUARE of that distance! Here is a chart showing this which I will attempt to explain verbally! Ok – look at the above diagram. I have labeled a few variables; d (distance from the light source) and I (intensity of the light). The equation we’re using is the same equation I mentioned above – that Intensity equals the ‘inverse square’ of the distance, or I = 1/d² or simply I/d²). I’m going to use easy numbers to explain this. 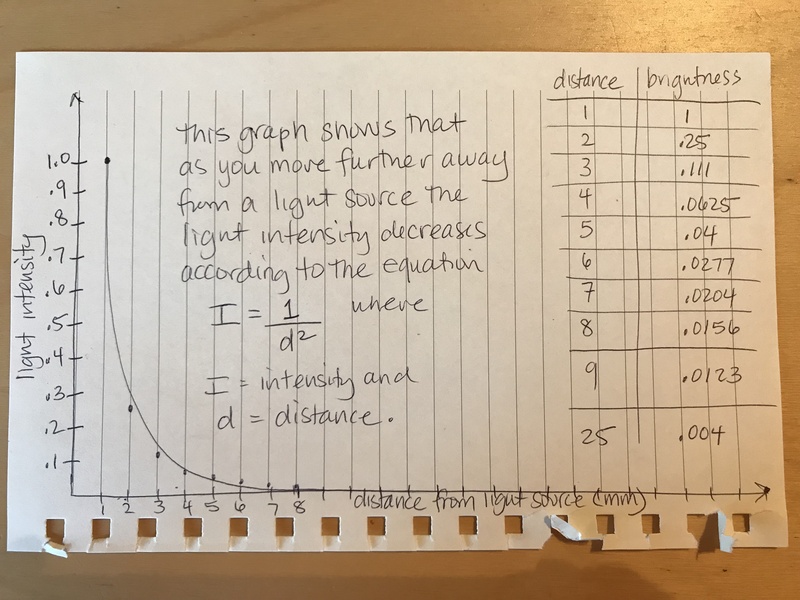 Say the distance (d) is 1 millimeter and the Intensity (I) is 1 lumen (which is a measure of light intensity). 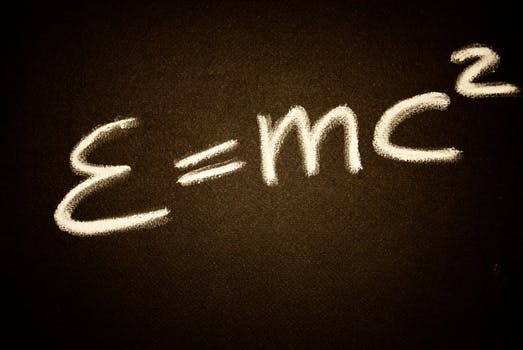 If you are 1 millimeter away from the light source, the intensity is 1 lumen. If you move 2 millimeters away from the light source, the intensity drops to .25 lumens. You have a SEVENTY FIVE PERCENT REDUCTION IN INTENSITY BY JUST DOUBLING THE DISTANCE FROM THE LIGHT SOURCE! If you move 3 millimeters away, the intensity drops to.111 lumens and if you move 8 millimeters away the intensity drops to .015 lumens! WHAT?!?!?! THIS IS A 98% PERCENT REDUCTION IN INTENSITY by moving the LED just 8 mm further away from the face!!! Here is where the Celluma panel SHINES (ha ha – pun intended!!!). Because it is a flexible panel, you are able to snug it VERY close to the face, thereby increasing the intensity of light that is reaching the skin and therefore increasing the RESULTS you are able to offer your client! Now think about how close you can get a rigid panel to the face. Unless it is designed to fit a particular sized face (and our clients are all one-size, right?? ), there is no possible way to get that panel close enough to your client in order to get the full effect of the light, which decreases client outcomes and therefore decreases client satisfaction. After all of this math, this seems like a pretty easy equation to understand. We want our clients to be happy & satisfied with their results. Rigid panels won’t offer happiness, and Celluma will!